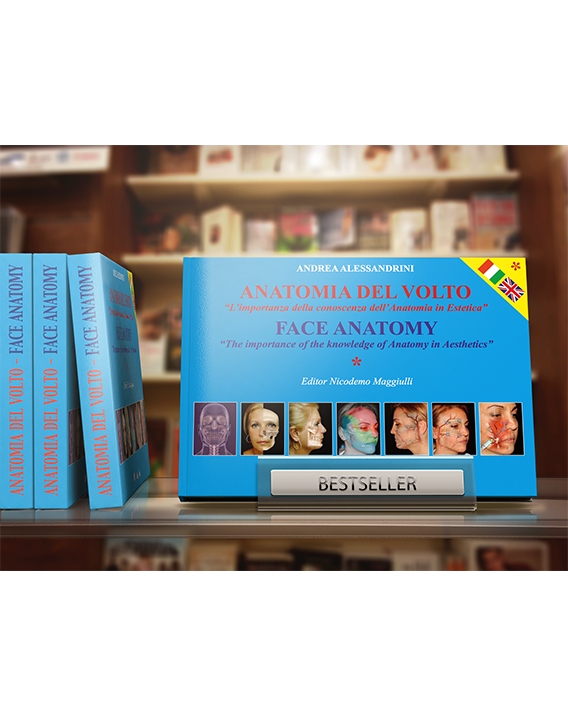 • I dedicate this text, which is the result of many years od work, to all those who, like me, operate in the wonderful world of Aesthetic Medicine and Surgery. For a better understanding of the text,it is useful for me to illustrate my professional past. • It was 1982 when I injected my first phial of filler: it was bovine collagen. more and more confidence and awareness about what I was doing( this confidence was due to my knowledge of anatomy, whithout which I wouold have felt “naked”). 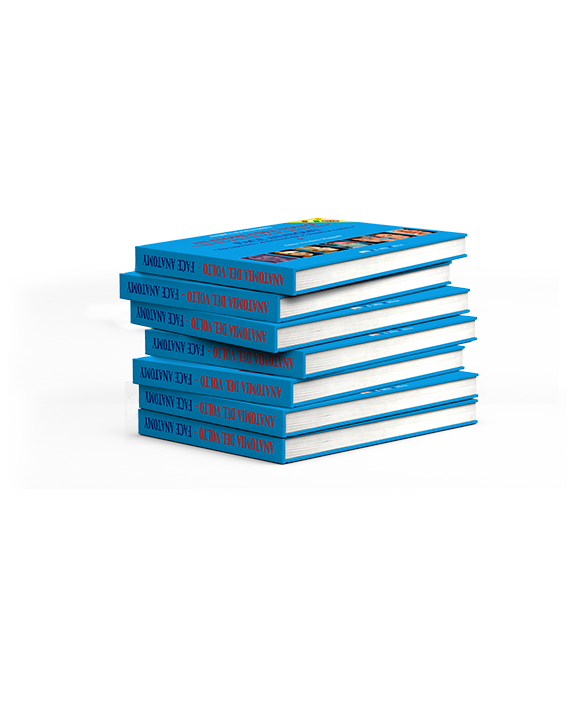 • Now, in 2014, I still am, as I have always been in all this time, in search of slightly invasive techniques,more and more consolidating my knowledge in order to obtain the best and above all the most natural results. • I held, and am still holding, courses in various parts of the world, proposing to my colleagues all my knowledge acquired in these years, in particular the secrets, the points of attention, the correct therapeutic approach, the global vision of problems and possible limits. All that with the aim of working correctly and reaching the utmost results. • I take part in national and international congresses, where I illustrate my techniques and the new approaches in the field and I compare the colleagues’ experiences with mine with the humbleness of a person who is always willing to learn. 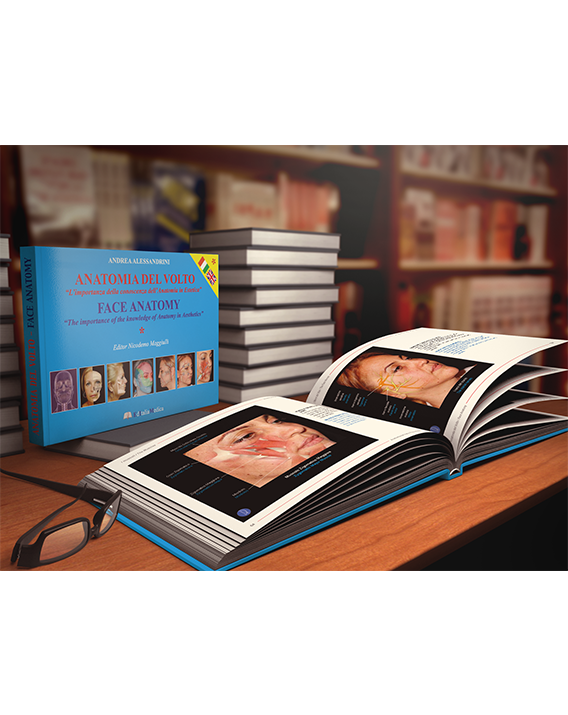 • My experience, acquired also through teaching on corpses, has led me not only to a deeper knowledge of anatomy, but also to developing new personal techniques. • In consequence of the continous and appreciated request of material for consultation by Italian and foreign colleagues, I decided to undertake the onerous project of presenting, in this first volume, the anatomy and the noble structures, of which we must have a specific knowledge in order to better understand and assimilate the operative guide-lines used by me, which are going to be dealt with in the second volume. • This text has some peculiar characteristics that can be synthetized in two words: clarity and immediateness in consultation. 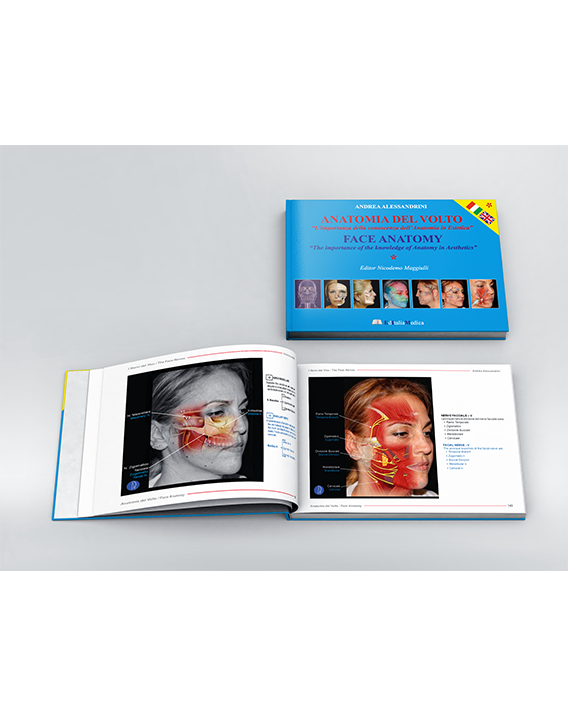 As we well know, in order to be able to undertake a targeted therapeutic program, regardless of the substance used, a deep knowledge of the anatomy of the face is needed. 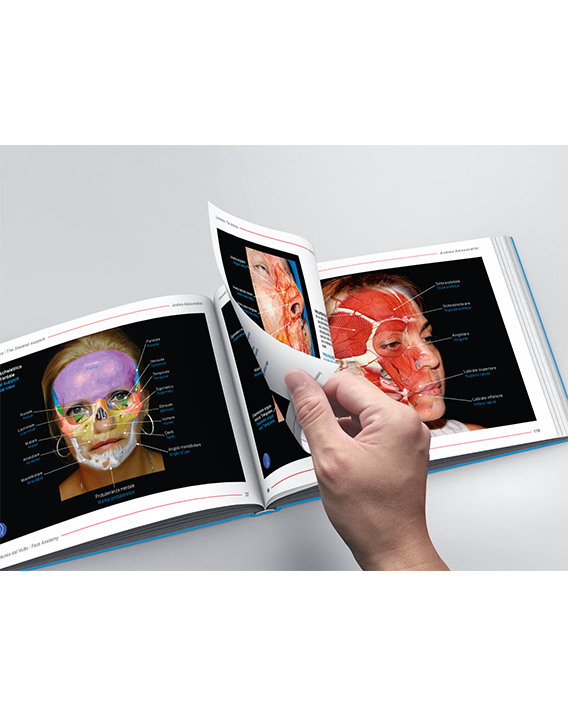 How can we inject a product, insert a needle or a cannula into the various areas of the face without knowing tha anatomy and, through it, the structures (Cutis, Muscles, Nerves, Vessels, Arteries, etc.) which condition the possible side-effects? 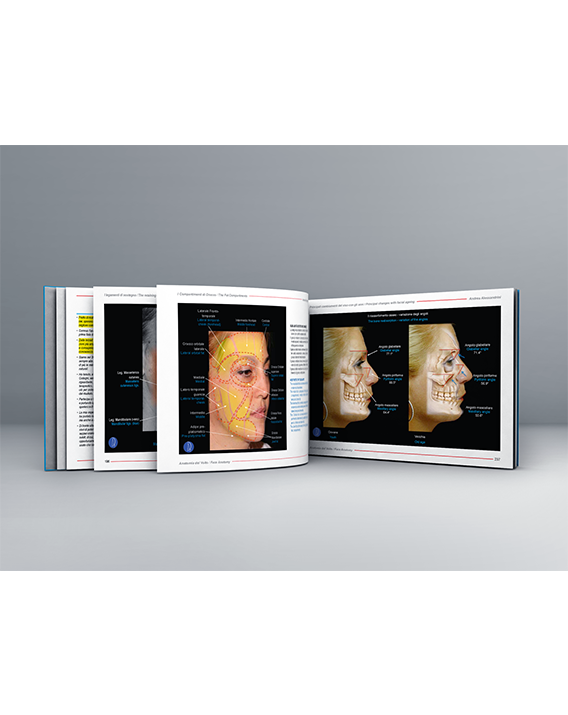 • Some colleagues consider the techniques and the the relative substances used in Aesthetic Medicine as something very simple and they start effecting corrections without having a full knowledge of the field. Although, on one hand, it is impossible to acquire experience without ever making mistakes, on the other, we must admit that side-effects are often not only due to the injected product, but also to wrong techniques or an insufficient consideration of the areas at risk. • I am sure that through a careful consultation of this text we can reach an adequate self-confidence, so that we can approach our patients in a serene state of mind. 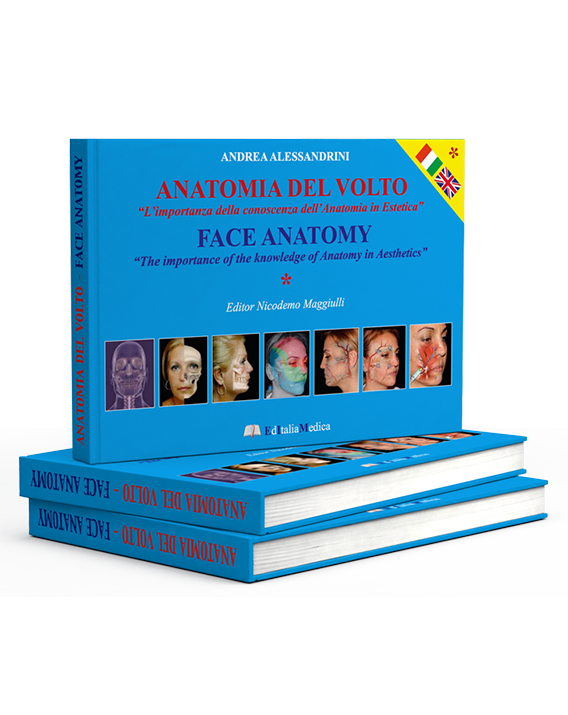 We all know that we can find any information in the Web very easily and quickly, but all that you can find in this text represents a synthesis of visual and descriptive information specifically addressed to professionals who effect aesthetic corrections on the face. I must say I sometimes use it myself. • I would like to thank the Editor, Mr Nicodemo Maggiulli, who has been of great help to me in the realization of this first volume, thanks to his enthusiasm and competence. • I would like to specially dedicate this book to my wife, who during all these years has always supported me and has accepted my absences, and to my daughter to make up for the too little time spent with her and for the many important things never carried out. • I wish you all a pleasant reading! I am always at your disposal to exchange points of view and improve our work together.